In a bowl, add wheat flour, semolina, chaat masala and salt and mix well. Make small balls out of the dough and roll into small thick circles using a rolling pin or poori press. Heat oil in a pan and drop the rolled poori carefully in the oil. Now gently press the poori with the slotted ladle. This helps the poori to puff up. Simple and yummy ! Loved it ! 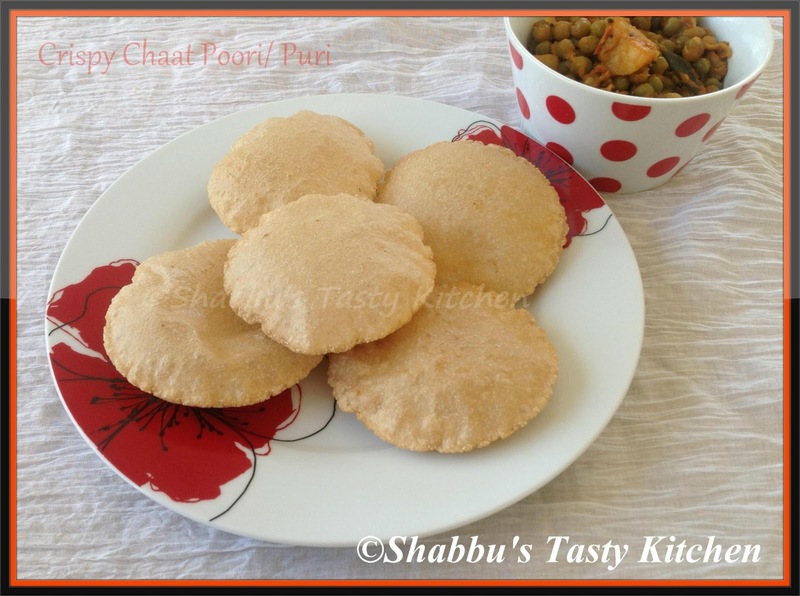 Nice recipe for perfectly puffed chat puris..